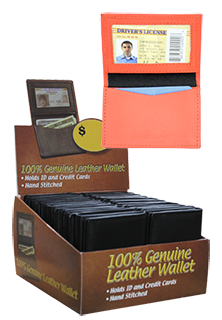 We all need a wallet to place are cash, cards, license, and other important documents. We have a wide variety of styles and types. Men, women, ID, leather, aluminum, accordian and more. We have the lowest prices in the nation~GUARANTEED!